Lisa Pliscou is a graduate of Harvard University and a member of the Jane Austen Society of North America. She writes for children and adults. Among her books are the novel Higher Education, praised by David Foster Wallace as “an authorial coup,” and Young Jane Austen: Becoming a Writer, a biography for teens and adults named by Foreword as a Book of the Year. Now she is launching Brave Jane Austen: Reader, Writer, Author, Rebel and chose this very lucky blog to make a giveaway! Below you can take a look inside the book (courtesy of Macmillan Publishing), read Lisa’s own words about the book, learn more about her and especially find out how you can win one of 2 (two) hardcover copies of this lovely book right here! Yes! There will be 2 (two) winners! 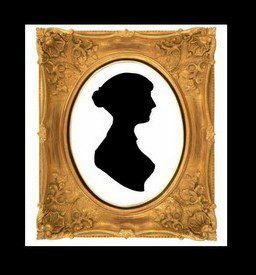 The impetus for my writing Brave Jane Austen: Reader, Writer, Author, Rebel, came from my lifelong habit of rooting for the underdog. And Jane Austen was one. She really is — cue “Gonna Fly Now” — a kind of “Rocky” in the literary world. Here are the opening pages of Brave Jane Austen, in which we meet Jane as a very little girl. You may notice in these early first sentences a small, playful allusion to Star Wars Episode IV. Most of us begin in obscurity; it’s only a special few who rise to enduring renown. When I learned how, with phenomenal grit and perseverance, Austen overcame huge challenges to find her way as a writer and an author, I knew this was an important story I wanted to share with young readers and their grownups. It’s an especially appropriate one in our own time, when a book like Paul Tough’s How Children Succeed: Grit, Curiosity, and the Hidden Power of Character receives so much well-deserved attention. I also have a kind of empathetic affinity for Jane’s experiences as a child. She and I both grew up in areas that were far from cultural and intellectual centers — she in a tiny country village in England, I in Mexican beach towns and rural California. We both lived in homes where books, education, ideas, and laughter were greatly valued. We both were avid readers, and ‘scribblers,’ from a very early age. And we both were fortunate to have families who encouraged our creativity. Here are some glimpses of Jane’s everyday life among her family. The artist/illustrator, Jen Corace, painstakingly researched the Austens’ world; she even went to England on a research trip. And so the illustrations shine not just with the charm of Corace’s distinctive artistic style but with solid authenticity, too. In thinking about Jane’s early life, I love these words from renowned Harvard psychologist Howard Gardner, quoted in The Creative Spirit: “The most important thing at the beginning is for an individual to feel some kind of emotional connection to something.” Albert Einstein, for example, developed a fascination for physics when he was only five years old. It would be impossible to choose a single image in Brave Jane Austen that I love the best, but the one showing Jane’s father reading out loud to an audience of fascinated children is an absolute favorite for sure. Here you’ll get a sense of Jane’s early literary influences, which would have included William Shakespeare, with his “funny clowns and sad lovers: tricks and jokes, tears and battles” — all elements which would, of course, later appear in Austen’s own work. Which Jane — despite many setbacks — did. TAKE THOSE 3 STEPS AND YOU’LL HAVE 2 (TWO) CHANCES TO WIN! What a fascinating aounding book! I missed Lisa’s first book, though I did read about it when it was first published. This one sounds equally as interesting. I’ve shared on FB, Twitter and Pinterest and have been subscribing to your blog for quite a while. This book looks beautiful and would be fun to share with my kids! I shared on Facebook and Instagram. This is amazing! Subscribed to your Blog. Shared on Facebook, Twitter and Pinterest. Thank you for the chance. I would like to share the book with my nieces. What a gorgeous book! I love the illustrations. I am a follower of your blog, however, by choice, I am not on Facebook, Twitter or Instagram. I am however on Goodreads and will add your book to my list there! Thank you for a chance to win this. It will be a great book to read to my granddaughter when she visits! This book looks perfect to read to my students and I love the illustrations. I shared this on Twitter and Facebook. Hi Rita! Thanks for sharing this give away! I published here on my profiles on FAcebook and Twitter. Love it!!! I want this book so bad! I want to introduce to my 4th grade students. I will post on my Facebook page. I have done all the posts and subscriptions: Facebook, Twitter, and Instagram. This would be great to have for my kids that I am homeschooling and my nieces. I love sharing my love of Jane Austen with any and everyone! I have subscribed and shared on Facebook, Twitter, and Instagram! I would love to have this for my own personal use but to also share with my kids that I homeschool and my nieces. I love sharing my love of Jane Austen with everyone. Tina this giveaway was last week. It is over now. Sorry.